NICE Systems Ltd. (Nasdaq: NICE; TASE: NICE) will install its NiceVision’s IP video security solution with the Tianjin Metro, the company's ninth deployment of security solutions at various Chinese subways. 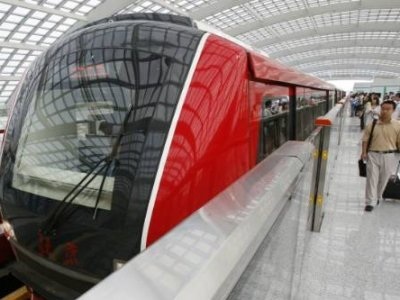 NICE did not disclose the size of the contract The system will be installed in 23 stations on the 23.5-kilometer Line 2 route in the northern Chinese city. The NiceVision IP video security solution will provide seamless surveillance of the railway, its tracks, stations and passengers. NICE president Asia Pacific Raghav Sahgal said, “This is another project which shows the positive momentum our security solutions for mass transit are enjoying in the Chinese market. Nearly two dozen major cities have received approval from the Minister of Railways in China in late 2009, to build 89 metro lines by 2016. Tianjin is among these cities. Accordingly, we are seeing a rise in demand in China for advanced video surveillance that can effectively protect passengers." NICE's share price fell 0.5% on Nasdaq yesterday to $35.37, giving a market cap of $2.25 billion, and rose in early trading on the TASE today 1.2% to NIS 126.